I offer workshops and presentations for both adults and children for community associations, home schooled students and summer camps, as well as services for writers including coaching, editing, plus online workshops and courses for children and young adults. The Writing Historical Fiction online course examines the art of writing of historical fiction and the need to fully immerse yourself in a particular time period to make your storytelling more believable. Learn how to write effective, authentic and appealing historical fiction and how to turn your ideas into compelling stories. Understand what defines historical fiction and different historical time periods, create believable settings and plausible characters and learn how research plays a crucial role in the creation of your novel. Further details and registration for the online course are available here. The Writing for Children and Young Adults course focuses on writing for readers aged 8 to 14 years. Learn how to write effective, authentic, and appealing fiction for children and young adults and how to turn your ideas into compelling stories. The course explores the writing process from initial concept to finished work including story structure, developing plausible characters and dialogue, the creation of outlines and the importance of research, editing and revision. The course also examines ways to research publishing houses where you can submit your work, along with cover letters, synopses and sample chapters. I conduct creative writing workshops with community associations and have run workshops and made presentations as part of summer camp programs in Calgary and the surrounding area. Topics and themes include superheroes and comic books, inventing an imaginary country, story creation, time travel tales, spectacular story starters, creating characters, playwriting, future technology, and newspaper writing. I also offer online workshops for children and young adults, which are conducted using email assignments. Further details of these workshops are available here. I work as an instructor at the University of Calgary and at Mount Royal University, conducting one day classes and evening sessions for adults who are interested in writing for children and young adults. These classes examine the writing process from initial concept through to the finished manuscript, including how to turn ideas into stories, the creation of outlines and the importance of editing and revision. We also examine ways to research which publishing houses to submit your work to and there is ample time left for questions. I’ve also conducted similar workshops for adults for community associations, professional writer’s groups, public libraries and am available as a speaker for keynote addresses, conferences and other events. I’m very flexible and always happy to discuss your group’s individual requirements. 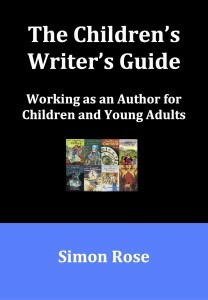 You can also learn more about the writing and publishing process, including where ideas come from and how writers turn them into stories, choosing names for characters, the importance of historical research if your novel is set in a different era, the role of editing and revision, marketing and promotion, and more, in The Children’s Writer’s Guide. Contact me for further details regarding coaching, workshops and presentations. I’m available for ghostwriting in a wide range of genres, including the arts, biographies, business, children/YA/ teen fiction and non-fiction, food, history, historical fiction, fantasy, health, how-to/self-help, humor, inspirational, memoir, military, multicultural, music, mystery, nature, parenting, pets, picture books, culture, romance, science fiction, sports, travel and more. Whatever the subject, fiction or non-fiction, for adults or for children, I’m available for collaboration on your next project. I offer both hourly rates and flat fees, based on the requirements of the project. Please contact me directly for rates and fees for ghostwriting.